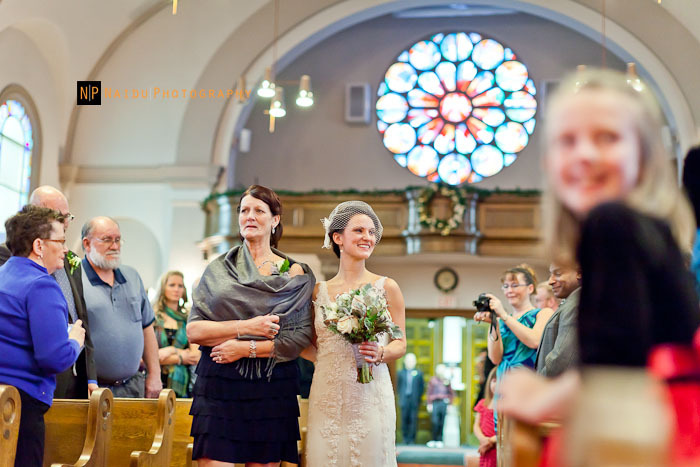 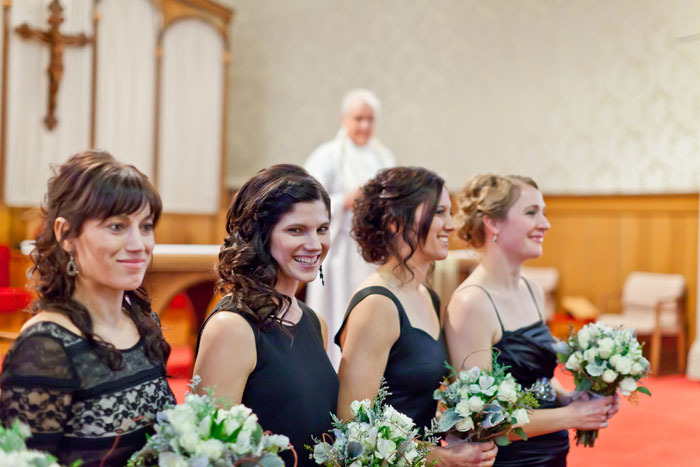 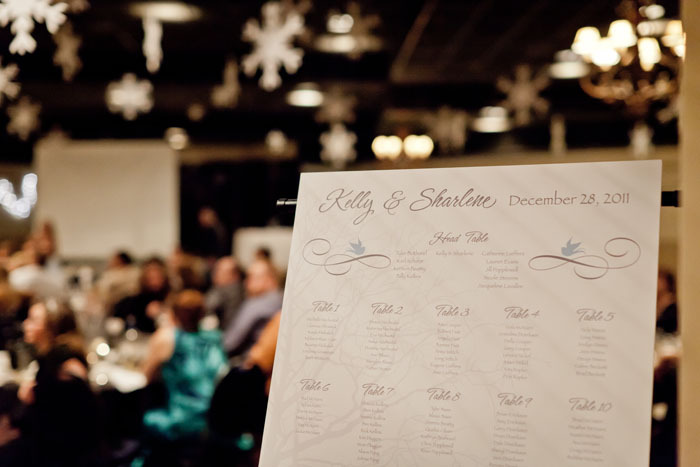 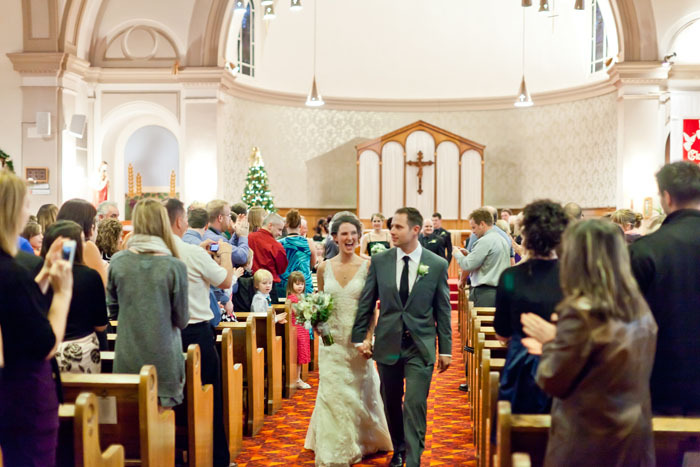 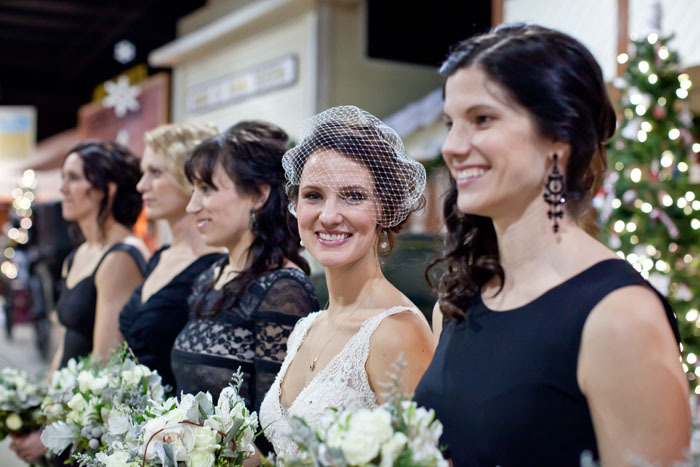 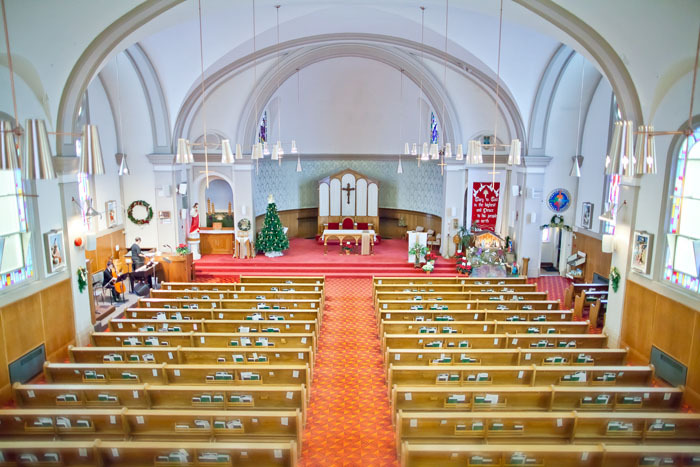 Sharlene and Kelly were married a few days after Christmas in Saskatoon. 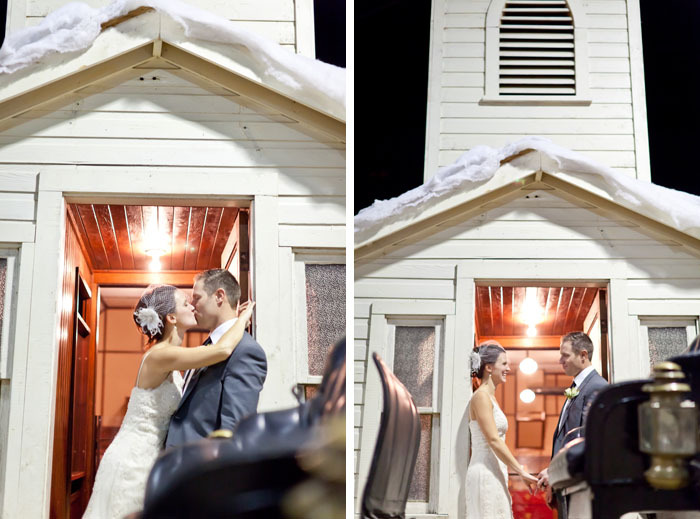 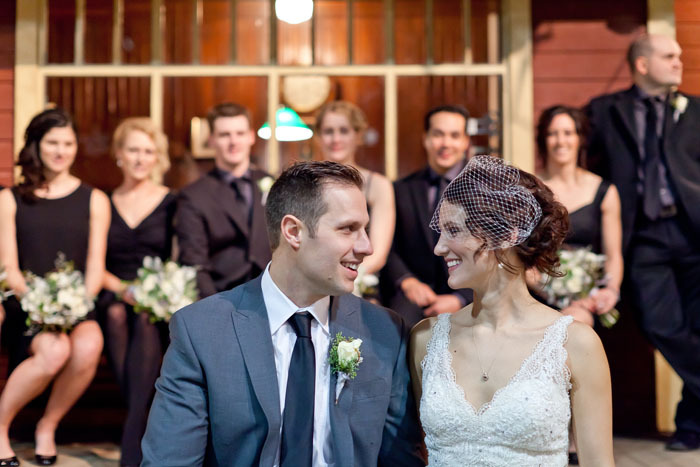 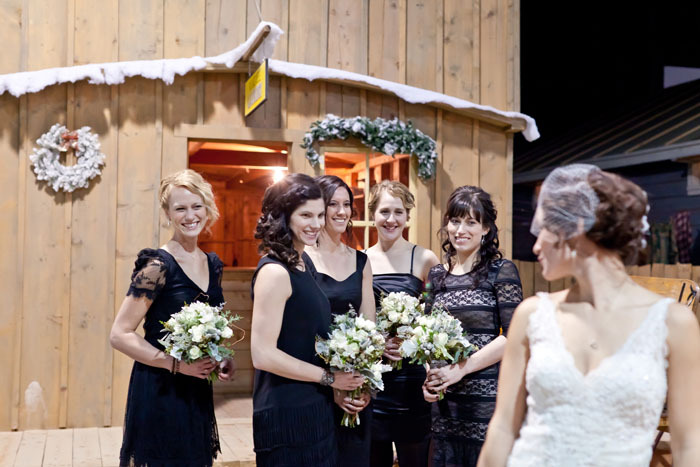 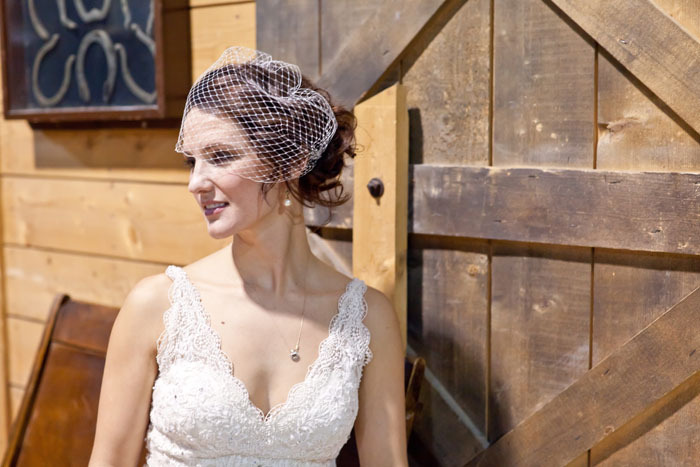 Keeping with the unprecedented mild winter temperatures we had been seeing, their wedding day was no different. 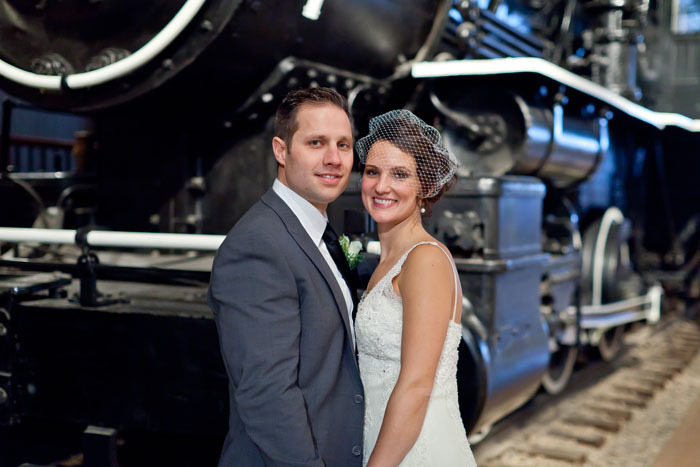 To go along with the awesome weather was a fantastic couple and their wedding party. 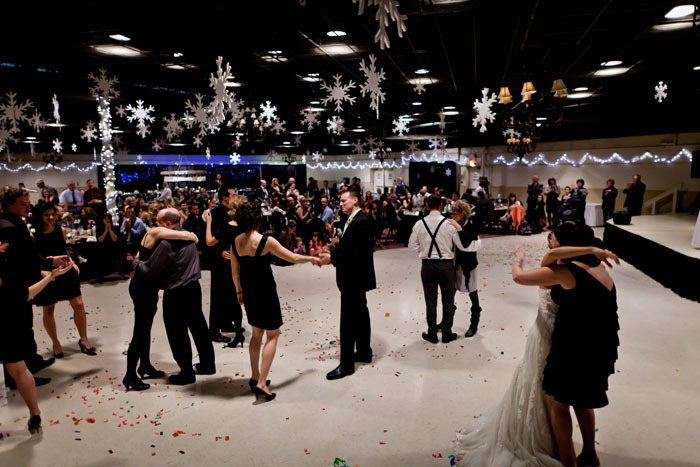 Even though we had very little time between the ceremony and the reception for making photographs, everyone involved just went with the flow and had a great time. 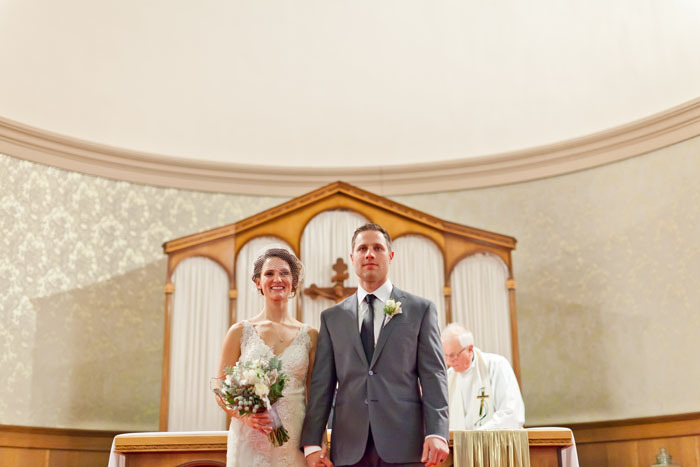 They made my job pretty easy. 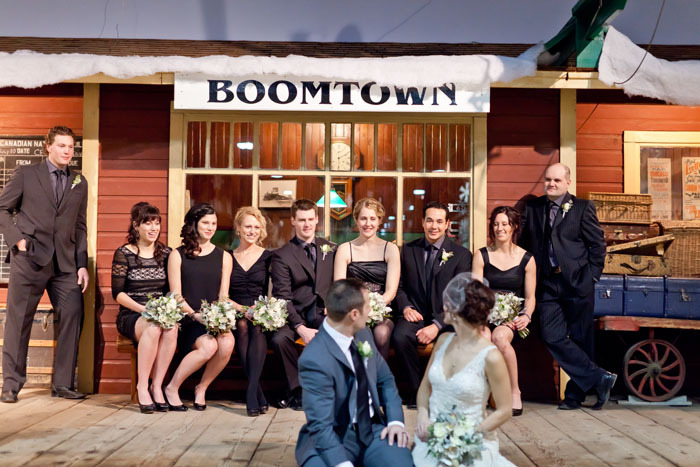 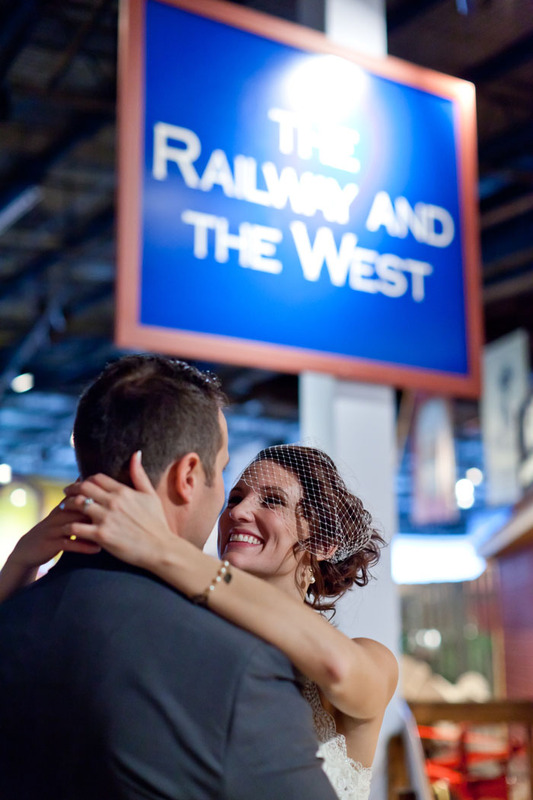 The dinner and reception was at Boomtown in the Western Development Museum. 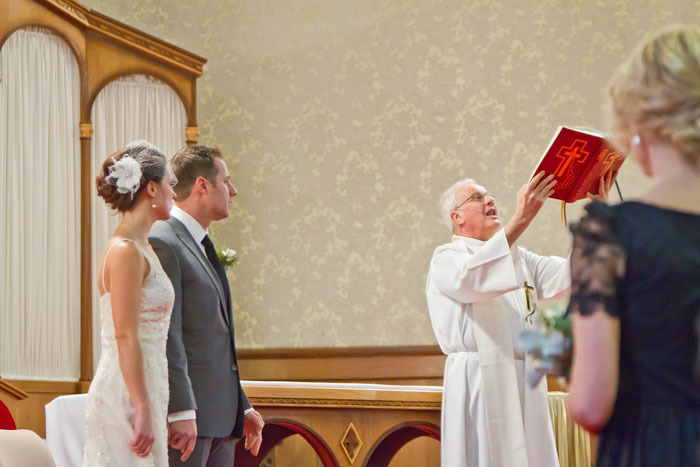 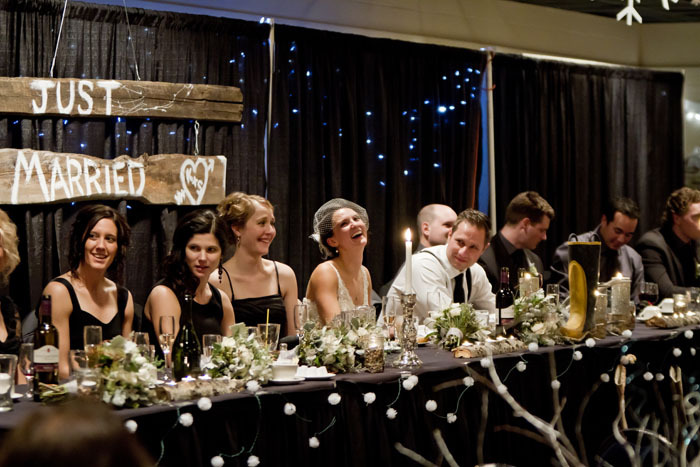 The evening was filled with hilarious, as well as emotional toasts to the couple from their family and close friends. 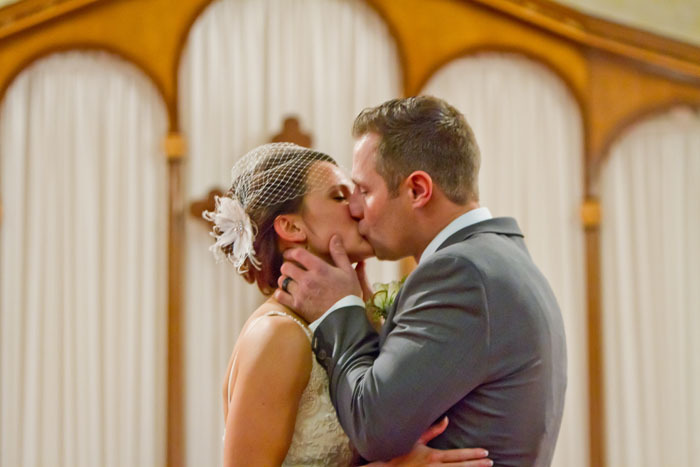 I always appreciate getting to see this window into the life of a couple that I’ve gotten to know over the last year or so. 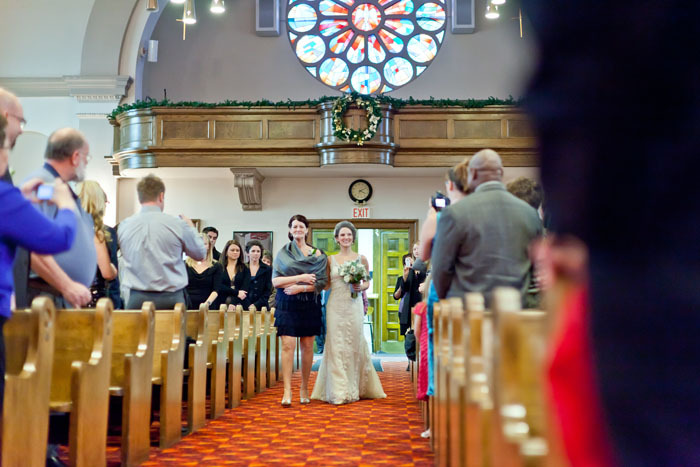 Here are some of my favourite shots from the day. 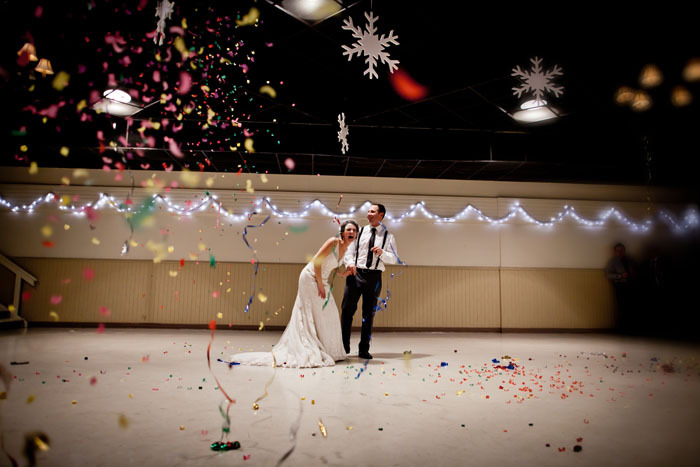 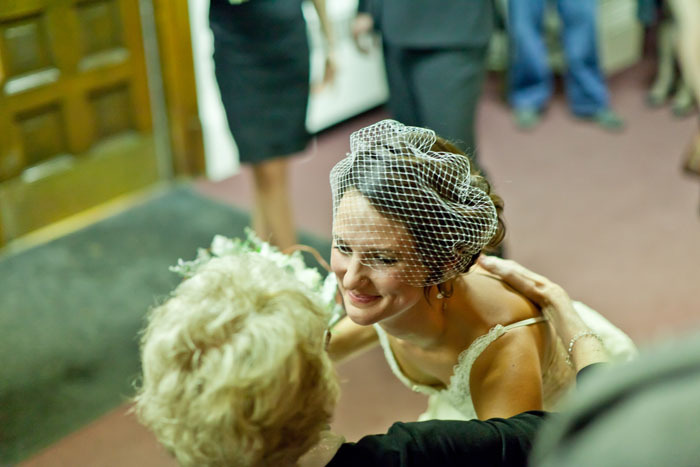 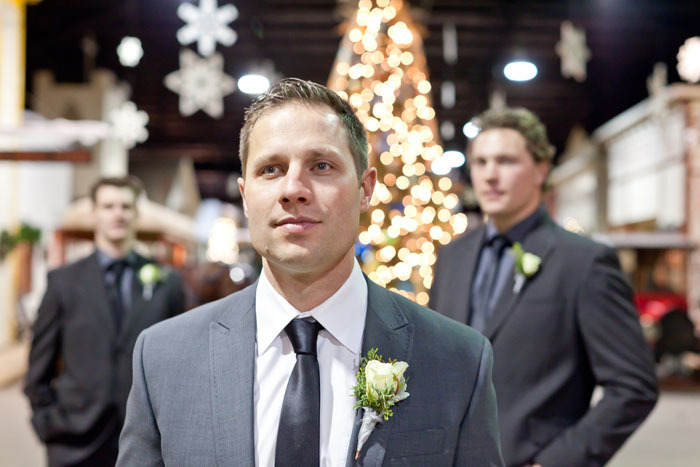 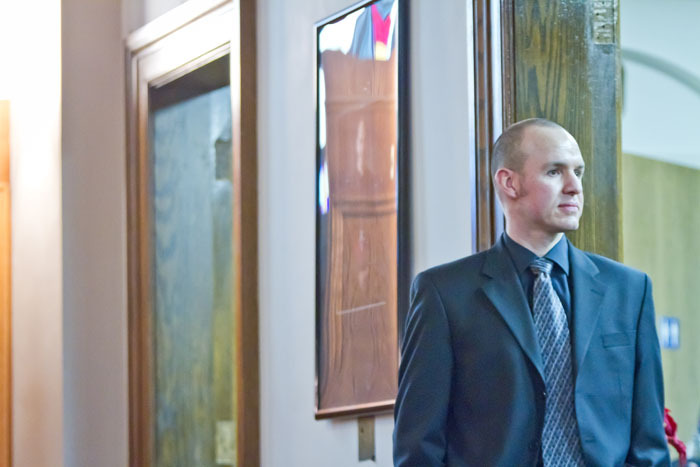 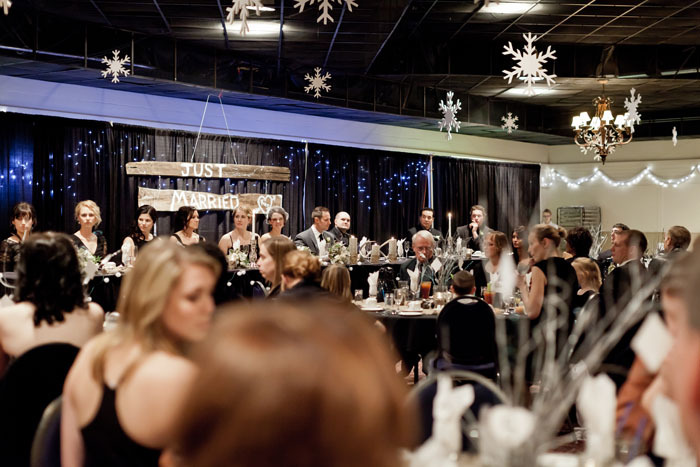 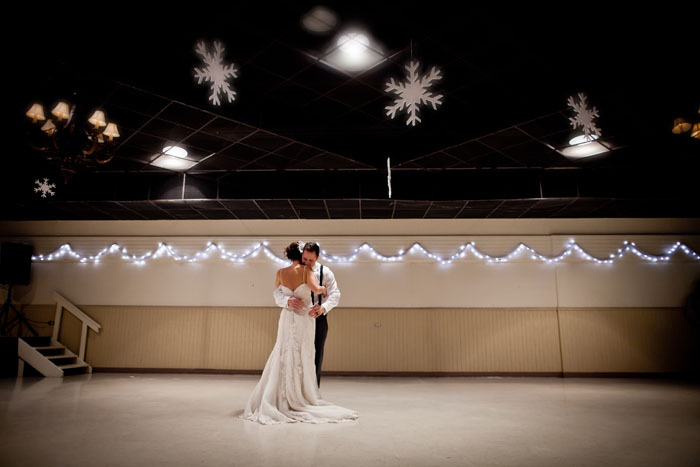 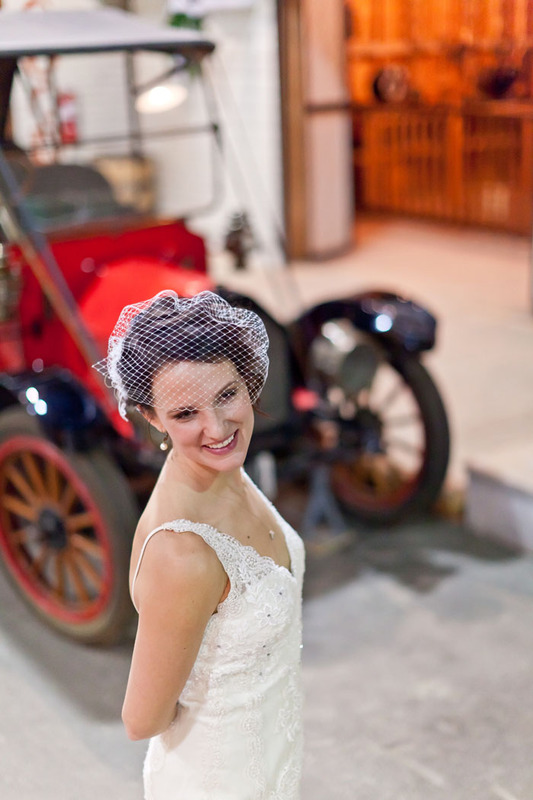 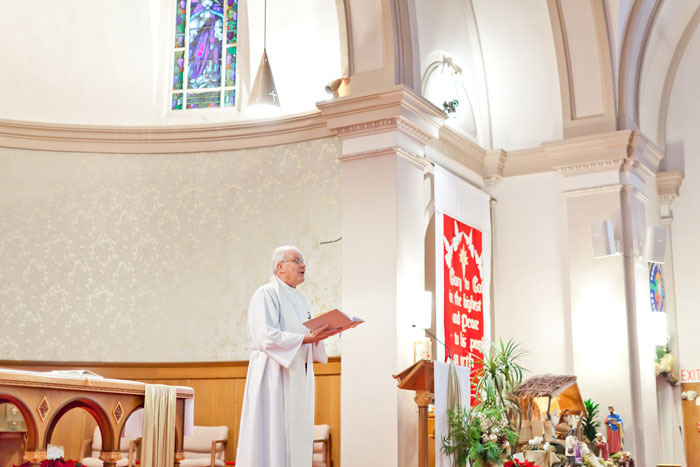 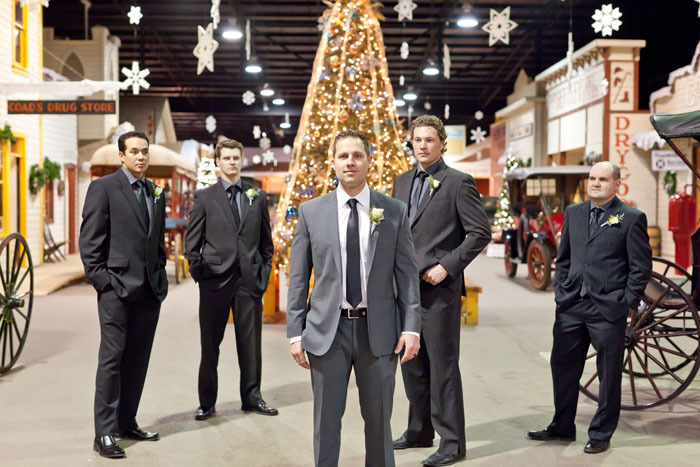 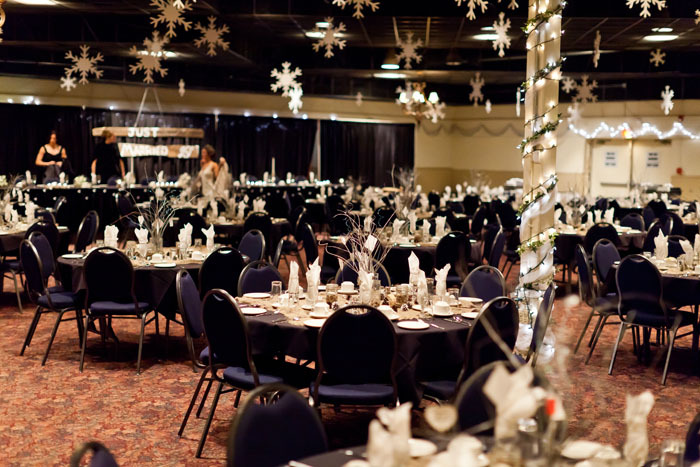 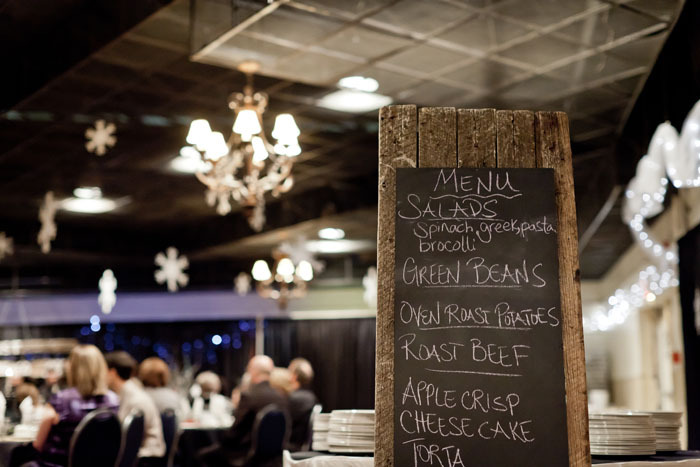 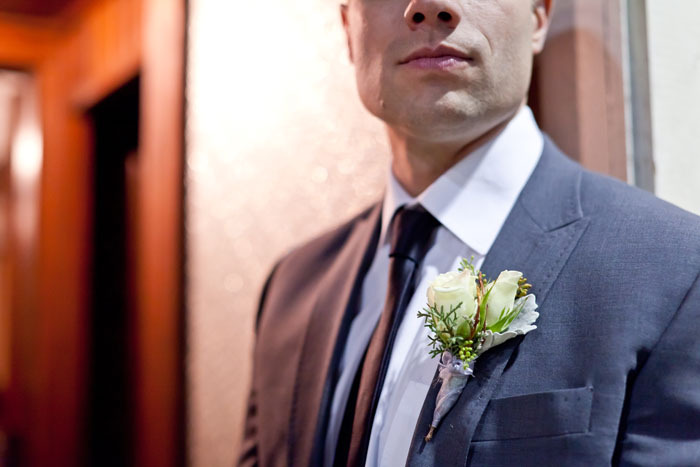 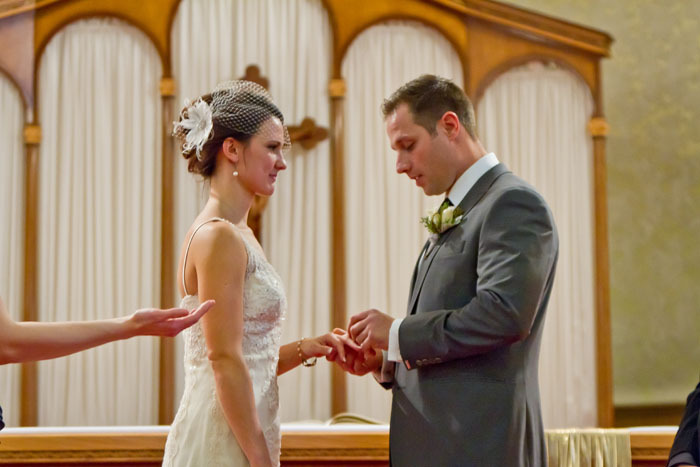 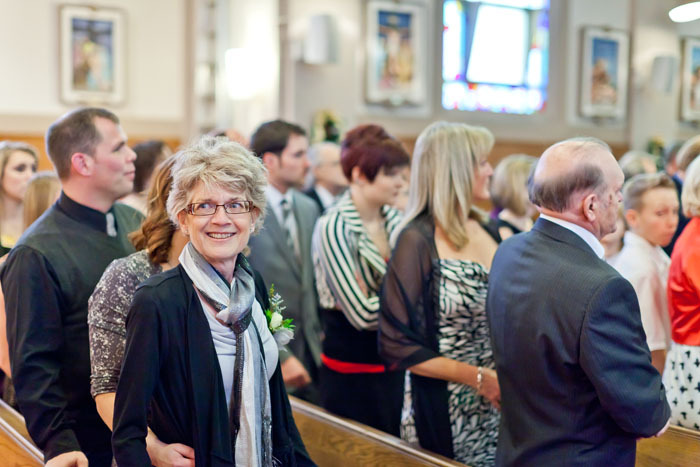 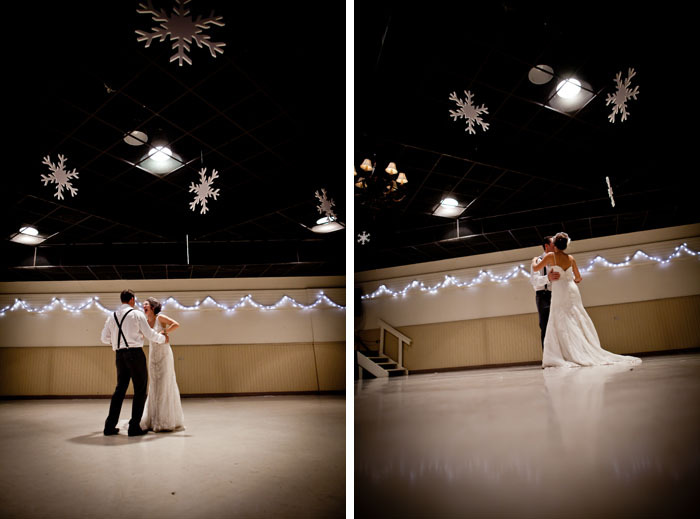 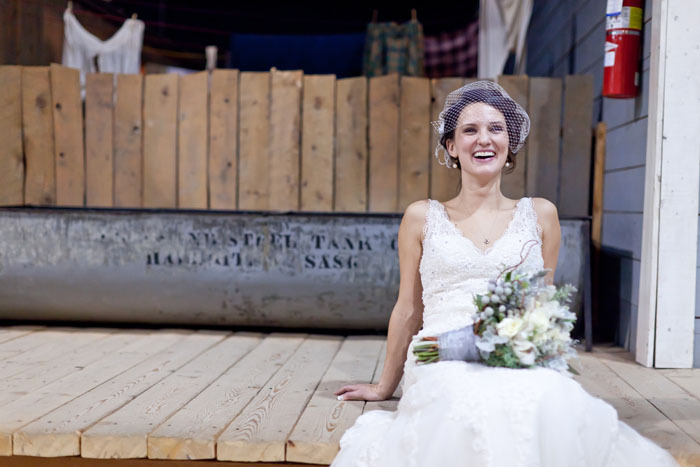 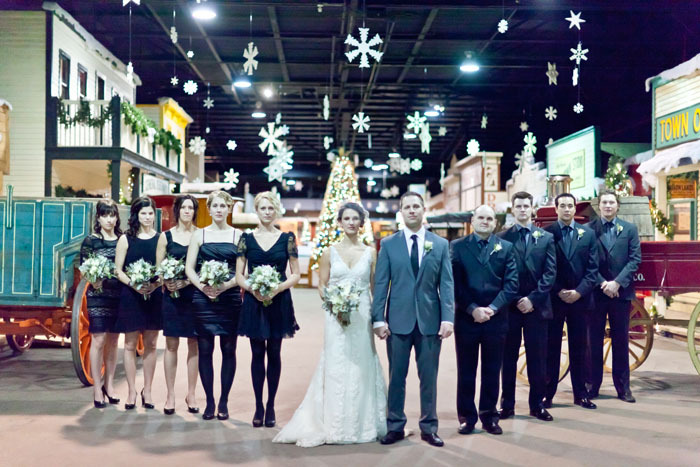 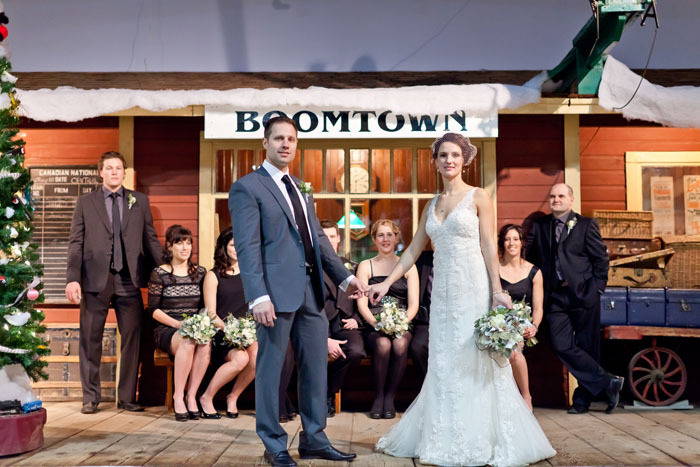 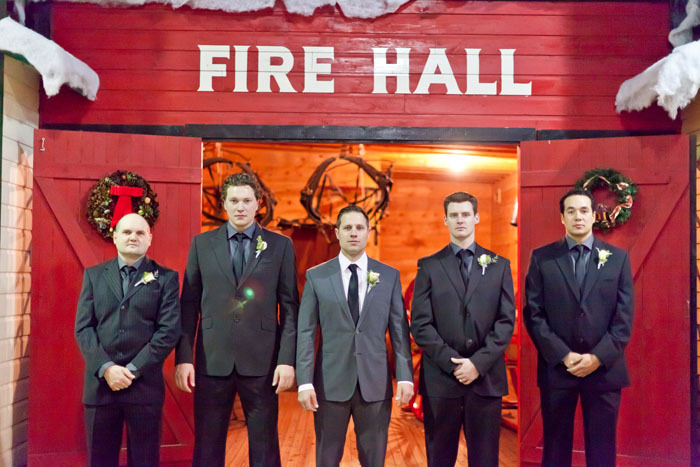 Here’s a teaser from a wedding I shot late this December in Saskatoon. 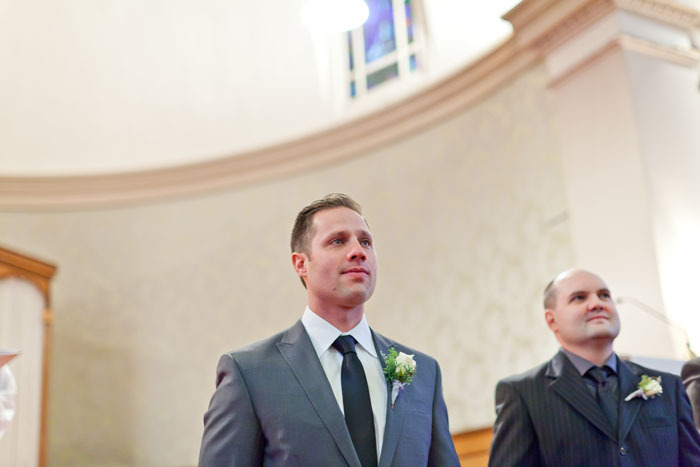 Kelly watches his bride-to-be Sharlene walk down the aisle. 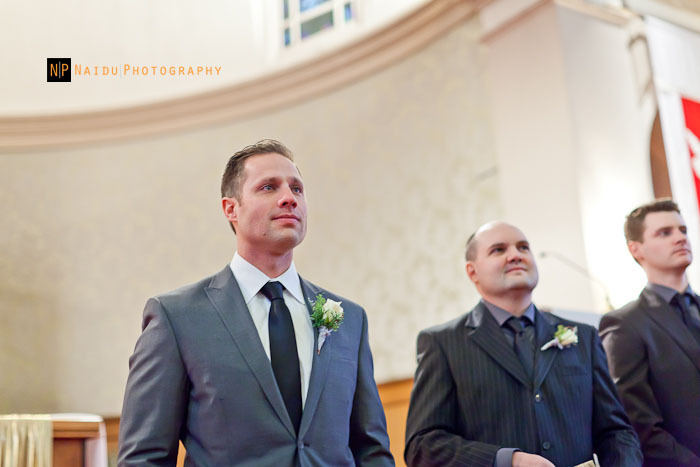 Stay tuned for the full blog post.